Water softeners are fantastic and highly beneficial appliances to own in a home or office. Hard water is a problem in many cities and towns; and can cause a wide-range of discomfort, inconvenience, and damage. Hard water is water that contains high traces of mineral salts, like calcium, iron, and magnesium. These mineral ions contribute to the funny tasting tap water we’ve all experienced at some point in our lives; as well as, dingy laundry, brittle hair, dry skin, spotted dishes, and white scum buildup around faucets. Out of sight, hard water can cause issues too. Home plumbing and piping can rust and deteriorate over time from hard water and extensive calcium deposits. Basically, a home water conditioning system can refute these hard water issues, and keep a property’s water supply clean and filtered. Continue reading to learn the types of water softeners on the market, and how they treat hard water in residential and commercial properties. These water conditioners are interesting because instead of removing the hard mineral ions in local city water, they simply recondition them into a new form that will not stick to any surface. So rather than removing the “hardness” in water, it greatly diminishes the hardness instead. Salt-free water softeners operate using a catalytic nanotechnology media filter, in a process called Template Assisted Crystallization, or TAC. This process first de-scales, eliminating any existing buildup; and then implements future scale protection by further removing mineral ions from the water supply. This process is not “true” water softening, but water conditioning instead. Popular brands of salt-free water conditioners include Pelican Natursoft, Watts, Nuvo H2O, Water Dove, Aquacera, and Magnasoft. These water conditioning systems use the process of ion exchange to neutralize or eliminate magnesium and calcium ions in hard water. They simply replace “hard” ions, with “non-hard” ions. This conditions and softens a property’s water supply without the use of chemicals. This process is the only true way to remove hard water. It does, however, have a high sodium content, making it undesirable for watering plants, drinking, and lawn irrigation. Popular brands include the Pelican PSE 1800, Kinetico, Culligan, and Rheem. Electromagnetic water softeners are often times, reviewed poorly. They are intended to “blend-in” carbonate salts in the water to reduce the formation of harmful deposits and residues. This process is supposed to subsequently reduce the amount of mineral ions as well. Although these units are inexpensive and easy to install, they are not proven to be as effectual as a salt or salt-free model. Call 317-537-9707 for professional water softener repair and installation in Indianapolis, Indiana today. We are highly trained and qualified water softener technicians with decades of experience in the industry. We service, install, repair, or replace all make and model water conditioners and softening systems. Our experienced contractors also offer residential and commercial services, free estimates, emergency services, water softener sales, DIY advice, and much more. 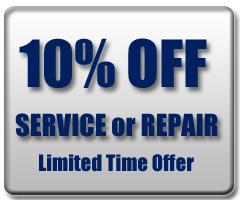 Call 317-537-9707 for water softener repair coupons and information in Indianapolis, IN and its surrounding counties. This entry was posted in water softeners and tagged Electromagnetic Water Softeners, Indianapolis Water Softener Repair, Indianapolis water softeners, Salt-Based Water Softeners, Salt-Free Water Softeners, Water Softener Installation. Bookmark the permalink.